Class B Blown Gas Streamliner. 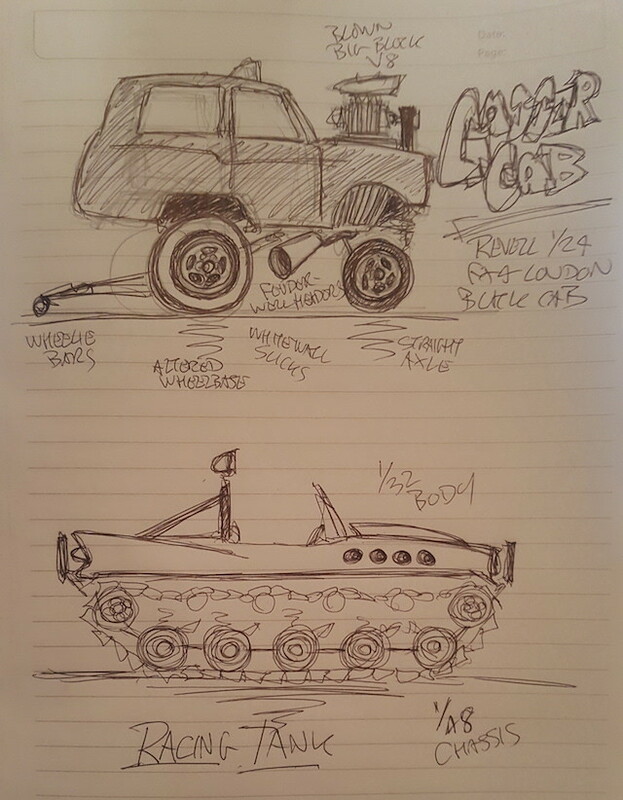 I've sketched some ideas i'm happy to share. I sketched the racing tank before I matched parts up and it seems that a small 1/25 car body would be a better fit on a 1/48 tank chassis than a 1/32 car. Does that have two wider track wheels at the front and two narrow track wheels at the back? It's difficult to see on their FB pages. If it ain't Tapioca, it ain't Pudding! What is this life thing of which you speak? So, how many of you chaps have heard of 24 Hours of LeMons (note spelling)? And that's just in the US series - they've started up in Australia too! Basically, you can race anything so long as it costs less than $500, excluding race safety equipment. Or, anything at all, so long as you bribe the judges enough or do enough penalty laps, or just turn it into something VERY silly to compensate for your performance. Many cars explode. Fig 3: A typical LeMons Racecar doing what it does best, while in Australia. EDIT: This link will take you to a list of some of the more insane things raced at LeMons. A: The Sport of Champions! There are no good kits, bad kits or grail kits, just kitbash fodder. LeMons racing looks like the most sensible thing since I tried my hand at moped racing. PW's link (above) leads to a fascinating, if massively long, list. I am only half way though but already fully inspired. What I enjoyed most were the italian idroscivolanti. Ideas are bubbling around. Its beautiful, that's what it is. Looks like a Bugatti grille. Bodywork has a definite French vibe to it and is very Delahaye-esque. 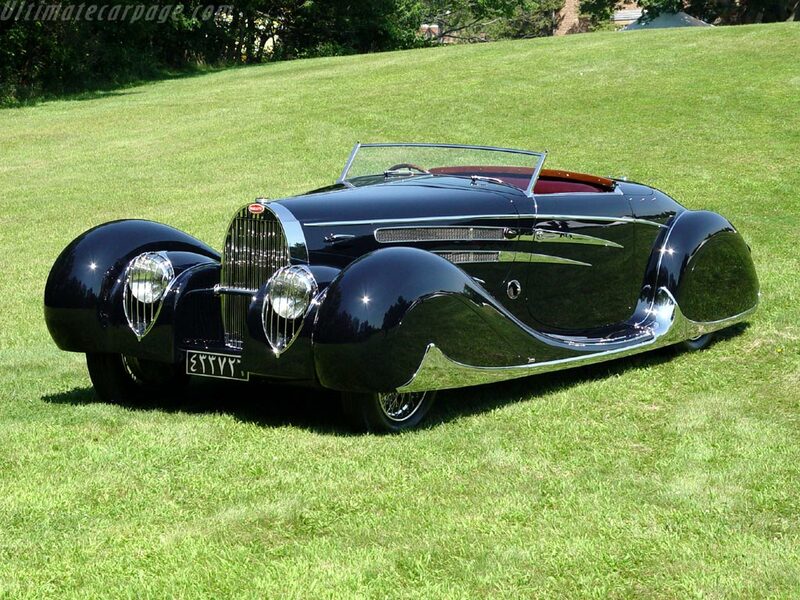 It's a (or rather the) Bugatti type 57c Vanvooren Cabriolet. It was a wedding gift from France to the future Shah. Comparison of a few speed record types of the ‘20s. 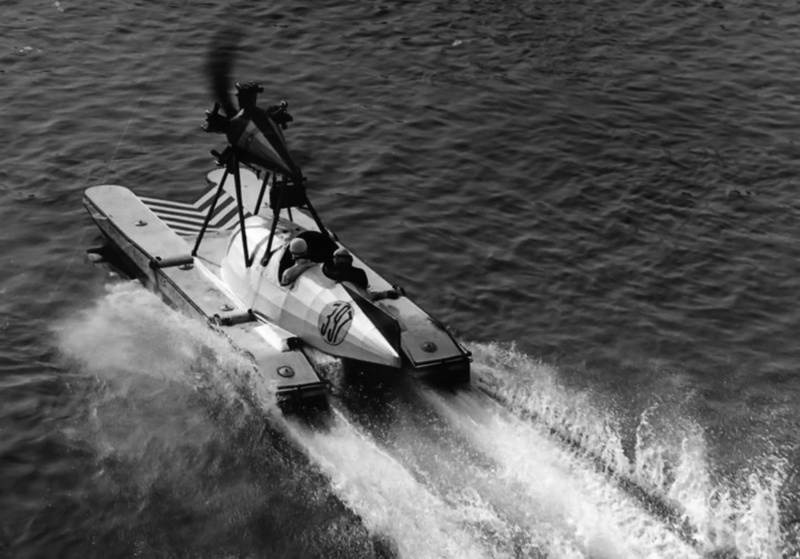 The White Triplex took the brutal approach with three Liberty V-12s.